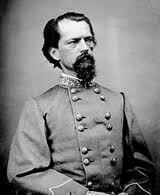 The Valley was the bread basket for the Confederacy and Early and Lee understand its importance. 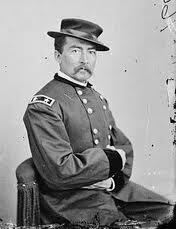 The CSA Army is loosing the fight by degrees and see an opportunity when Union General Sheridan orders the VI Corp to Petersburg,Va., reducing his Union forces to a size worth attacking to defeat and drive from The Valley. Lee and Early seize the opportunity. Jubal Early has engaged Sheridan for 5 days and is hoping on Lee’s recent advice to “endeavor to crush” Sheridan out of The Shenandoah Valley. Jubal Early will take the initiative and attack just before dawn on October 19, a successful 3 pronged surprise attack that rolls up the Union flank under General Crook so fast the Union soldiers were half dressed as they ran from their camps.By 10AM Early has pushed the Union army off the battlefield. Jubal Early will be pushed out of the Shenandoah Valley for good. Lee will offer Early a smaller command, less than 3,000 men that are later routed by Custer’s cavalry. 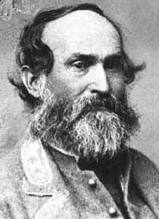 Jubal Early, the tough talking commander that threatened Washington for 3 years will meet Lee on March 30,1865 where Lee earnestly thanks Early for his service, and simply tells him to go home. Defense: The epic poem “Sheridan’s Ride” by Thomas Buchanan Read told the dramatic story of the timely ride by Union General Philip Sheridan who was in Winchester on Oct.18 the eve before the battle. Returning from his conference wih Secretary of War Stanton and LIncoln, Sheridan felt that Early was not in a position to attack. 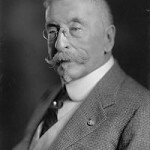 It is a fact that the day will be turned against Early’s army due to their pausing their successful advance when Early’s men stop to pillage the Union camps for food and supplies. This buys the Union army the time to stop their retreat, reform and attack Early, pushing him back in a full route when Union cavalry under Custer and Wharton charge past the Confederate flanks in a planned envelopment. The defense by the Union forces during the initial route was as in most battles held by a few brave few while others just ran. One of the few brave Union officers that day that in fact bought time as well as established a rallying point for the confused Federals was a young Union Captain Henry A. DuPont, just 26 years old as acting chief of Union General Crook’s artillery. “Sheridans’s Ride“ ...Read how Sheridan almost loses the day..until he rides his famous dash from Winchester..to Cedar Creek on his fast black steed “Rienzi”.